Affiliate Marketing is an Internet-based marketing practice in which a business rewards one or more affiliate(s) for each visitor or customer brought about by the affiliate’s marketing efforts. A specialized form of marketing where an advertiser seeks to advertise or sell products or services through an affiliate network. A marketing technique that uses affiliates to generate leads. The affiliate website will display an online advertisement for another website. 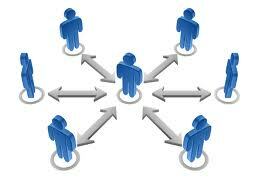 Internet traffic from the affiliate site will be driven to the other website. The affiliate is compensated for displaying the advertisement. WINNERS ONLY LOTTO GUIDE AFFILIATE PROGRAM: Our affiliate program is managed by one of, the leaders in affiliate program tracking! All your traffic is tracked with cookies for 360 days, so you get commissions even if your customer leaves and comes back months later and purchase with the same internet device! Pay-Per-Sale or Recurring commission: starting at 28% USD for all book sales you deliver and payouts of $2.24 up to $50.00 per active member from on or offline. $5.00 USD – Minimum balance required for payout. Electronic payments are made weekly and paper checks or sent on the 1st and 15th of each month, for the previous month. For each new customer, you refer to Winners Only Lotto Guide through our website or offline affiliate program. We’ll pay you 28%=$3.36 of each book sale of product and payouts from $2.24 up to $50.00 per recurring sale on the top tier for every active member of the membership site every month. 2. Generous Commissions Bonuses – Up To 10% for top earners! 2. ALEX ON TOP tier x 1000 people =$40,000 recurring payment every month! Payment at $40.00 per sale.